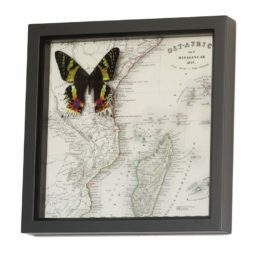 The common name of this moth comes from the rich reds, oranges, and turquoise that paint the scene of an African sunset. 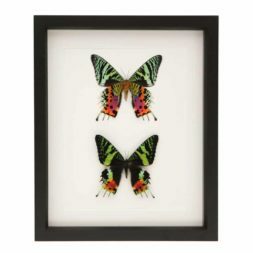 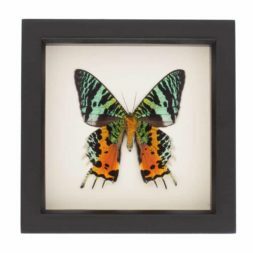 Featuring the front and back of the Madagascan Sunset Moth — considered one of the most beautiful moths in the world. 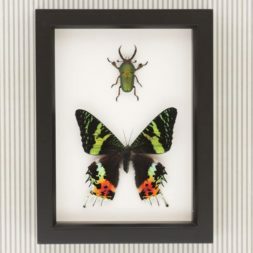 A stag beetle and a sunset moth. 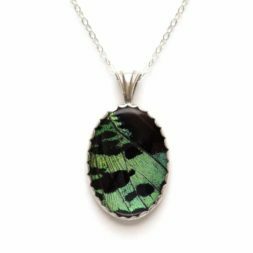 MATERIALS: Sterling silver, polished glass and sustainably raised moth wing. 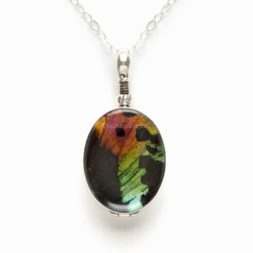 Includes 18” sterling silver chain, fabric jewelry bag and species natural history information. 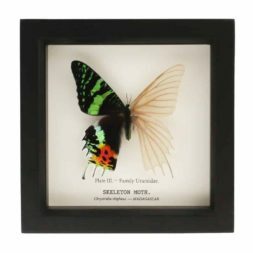 A real Sunset moth specimen that has had its scales removed on one side to reveal the beautiful architecture below. 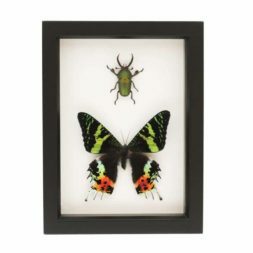 MUSEUM QUALITY SHADOWBOX: UV blocking conservation glass, gallery style frames, archival papers. 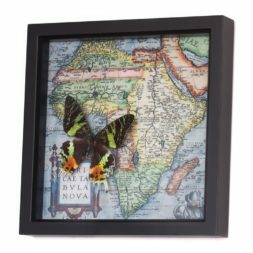 Also comes with interesting natural history information about species. 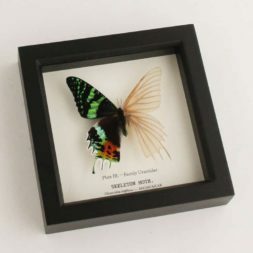 Comes with gift box. 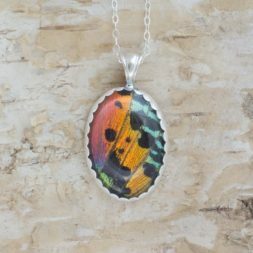 MATERIAL: Sterling silver, polished glass and sustainably farm raised moth wing. 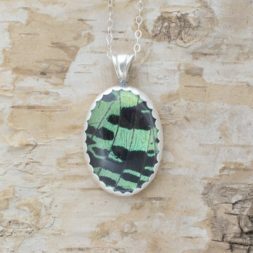 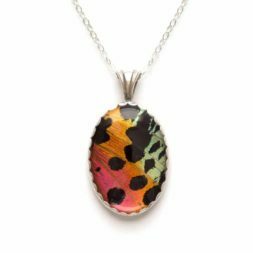 Includes 18” sterling silver chain, fabric jewelry bag and interesting natural history information about represented species. 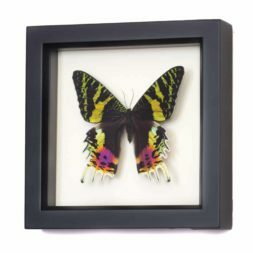 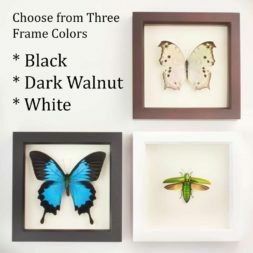 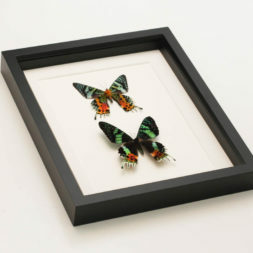 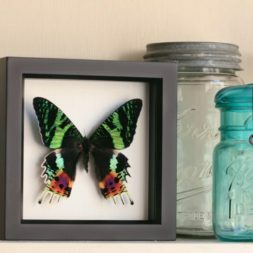 Handcrafted by an entomologist in San Francisco Bay Area. 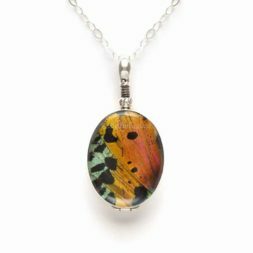 MATERIALS: Sterling silver, polished glass and sustainably raised butterfly wing. 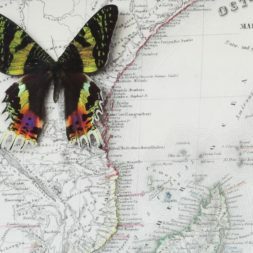 MAP: Archival reproduction of Madagascan map from 1857.